What Is the Capacity of a Floppy Disk? 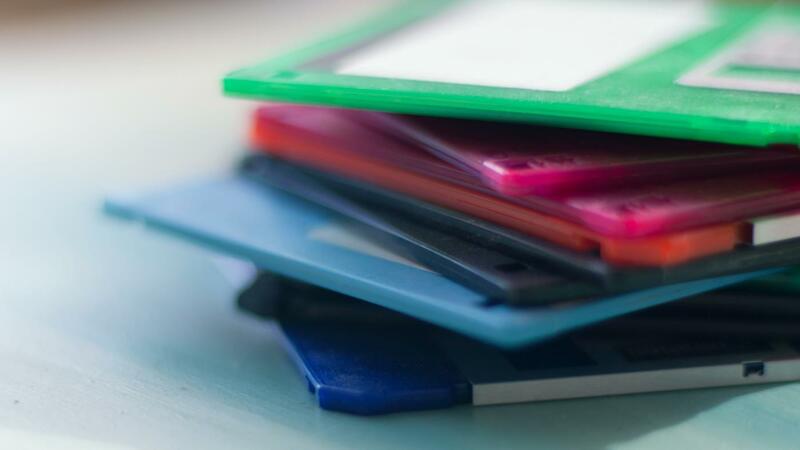 The first 8-inch floppy disks created in the 1970s had a capacity of 80 kilobytes. By 1986, IBM improved its design, resulting in the 3.5-inch floppy disk, which had a maximum capacity of 1.44 megabytes. The floppy disk was first developed to replace the use of punched cards, which during the 1960s was the only way to get information and software onto a computer. David L. Noble was assigned the task of replacing them and developed a flexible disk, coated in magnetic material that could hold the data of 3,000 punch cards. These floppy disks got dirty easily, so Herb Thompson and Ralph Flores developed a special envelope that would ward off dust and keep them clean. What Is the Storage Capacity of a Floppy Disk? How Much Memory Can a Floppy Disk Hold? What Is the Function of a Hard Disk's Actuator?